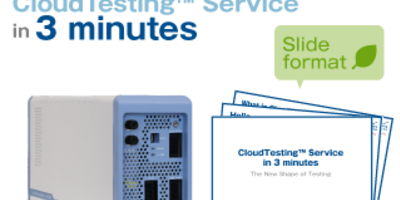 CloudTesting™ Service is an Industry First, On-Demand Testing Service. CloudTesting™ Station is free rent. Fees for Testing IP are paid monthly. Socionext Inc. and FUJITSU LABORATORIES LTD.
Download the presentation that shows you the overview of CloudTesting Service. JAXA (the Japan Aerospace Exploration Agency) has adopted CloudTesting™ Service for electronic component research and evaluation. This booklet provides an overview of CTS's contributions to JAXA's research and evaluation process. 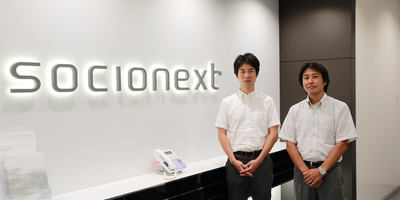 A joint research paper by Socionext Inc. and FUJITSU LABORATORIES LTD. was selected by RADECS 2017.This case study was compiled with feedback from the companies regarding the research picked up by RADECS, and the CTS system’s role in it. Waveform of CloudTesting™ Lab and "CATVert-VCD for CX1000"
Is it necessary to calibrate the DC calibration board? What connector should I choose to connect the CONST / FUNC Cable and the measuring jig? © 2018 Cloud Testing Service, Inc. All Rights Reserved.